Michael MacLeod is not only a member of the 501st Legion but is also a highly experienced and accomplished local musician. Michael has sung lead vocals and played guitar in numerous bands, and has taught music lessons to hundreds of students. He is the owner of Wolf’s Den Music. As soon as Michael could stand he was dancing to any music playing in his vicinity (even TV jingles). He states that “the bug really bit me at about age 7, when I saw a teenager down the street with an electric guitar and knew I just had to have one.” Though his parents were struggling financially they bought him a guitar and amp and the lessons began. Through his lessons he met his mentor New Bedford, MA musician Jim Tavares. “Upon first sight of seeing Jim with his long hair, ripped jeans and chucks (sneakers) I knew I wanted to be a rock guitarist!” At the time Jim was only accepting adult and advanced students, but after a lot of begging to the music store owner (Gary “Boz” Bosworth of Boz’s Music) Jim decided to take Michael on as his first child student. Michael would continue to study music and hone his craft, later studying under the famous song writer Adam Mitchell. As a huge Kiss fan, Michael auditioned for a tribute band when he was 15 and was thrilled to learn that he had been selected for the group. He started touring and missed many days of high school to keep up with his gig schedule. Performing as Ace Frehley, Michael toured the east coast for almost a decade in two different Kiss tribute acts: Rock & Roll Over and Destroyer. He was a featured performer with Destroyer on the internationally distributed “KAOL 2 Creatures of the Net” album (Kiss Army online). All proceeds from the album were donated to cancer research in Eric Carr’s (former Kiss Drummer’s) name. 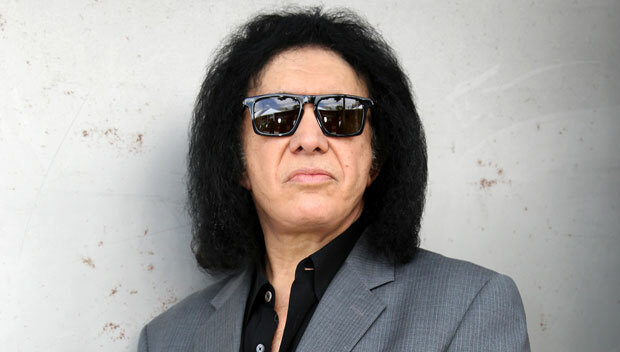 He has performed at many official Kiss conventions with past members of Kiss, including Ace Frehley. Michael’s biggest show played was at the Bangor, ME Civic Center, where he performed to a sold-out crowd of around 3000 fans. Outside of music Michael is a big science fiction and comics fan, which lead him to join the 501st Legion, as well as becoming one of the area’s more well-known Green Arrow costumers. One little known fact from Michael’s past is that he won a DC Comics contest as a kid and they used his design as the new version of a Parademon. “You can see the Kiss influence in the eye make-up design and bits of his costume.” The only Parademon ever to have a name in comic books was named Michael (possibly due to his redesign of said character). Michael received a 10 speed bicycle from the contest, which he still has to this day. After completing his solo album along with a few other musical projects on the table, Michael would like to compose a film score. Be sure to check out his sites at https://wolfsdenmusic.wordpress.com/ and https://www.facebook.com/pages/Wolfs-Den-Music/251584701558005?ref=hl .